I would like you to know what Go Green Go is all about, our mission and what makes us tick. But before you can understand what we are all about, I would like you to know where we came from and how we got here (Where ever “Here” is). I did not wake up one morning and say “Today would be a great day to start a business. I need to raise the awareness of environmental responsibility to help protect and preserve our planet, let’s see – I’ll make T-shirts that promote eco-friendly activities. 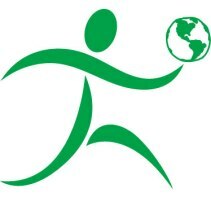 I’ll call it ‘Go Green Go’ and my logo will be this cute little green guy carrying the earth. And don’t forget about community involvement and giving back.” I wish I could say it was that simple – but it wasn’t. It’s also not one of those great “in the right place at the right time” stories either…..Sorry!!! It would have been soooo much easier if it had happened that way. But it didn’t - oh well, enough of the daydreaming, on to the nuts and bolts of the evolution. The T-shirt idea started about 5 years ago when my husband and I were planning a sailing trip to the British Virgin Islands with my sister and mother. As we were preparing for the trip we determined that matching T-shirts would be a necessary addition to the traveling wardrobe. We wanted people to know that we were proud of our home state and we had a passion for sailing, the design needed to combine a sailing theme with the heritage of New Hampshire. So the brainstorming sessions began. As many of you may know New Hampshire’s state motto “Live Free or Die” is one of the most recognized in the United States. As we fiddled around with the motto “Live Free or Die” eventually became “Sail Free or Die”. It was perfect and appealed to the sailor in both of us. The motto described the theme of sailing as well as the manner in which to sail. As we further developed the idea – we noticed that the outline of the state looked somewhat like the mainsail of a sailboat. We knew we had just designed the T-shirt for the crew and our trip. After our trip we decided to produce the “Sail Free or Die” t-shirts for the New Hampshire sailor. (www.sailfreeordie.com) It was mildly successful, but it didn’t take long before we realized that the sailing community in New Hampshire is extremely small. New Hampshire has one of the smallest coastlines in the country. Time to brainstorm again. We kept asking the question” How can we increase our market and take this nationwide?” We kept coming up empty. We had plenty of suggestions from various people but none of them made sense. The best of the worst suggestions was to take the shapes of the states and make them part of the sailboat. We would have a lot of strange looking sailboats. Over the course of the last 4 years we have learned a lot about “what not to do”. We made all the mistakes a new company could make - like producing something without knowing the market, the demand for the product, not knowing how to market, you name it - we did it – wrong! BUT - What we did right was to learn from our mistakes and not to give up in the process. Looking back, I still would have produced the Sail Free or Die product line because I love the motto. I would have been a little more conservative in producing the shirts and tested the market a bit more aggressively before expanding the product line. We still sell the Sail Free or Die products, as a matter of fact, this past year we shipped a blanket to North Pole, Alaska. The products are great conversation starters. Opps – I was just sailing - now back to how Go Green Go came to be – I’ve always been conservative when it comes to the environment and energy use. That is one reason I love to sail – the wind is the free fuel for our boat and it allows us to keep more “Green” in our wallets. Last summer as the gas prices rose to over $4.50/gallon, we would be sailing along and notice the powerboats speeding by us; my thoughts were that they might as well be throwing dollar bills out the back of the boats. One evening as we were just sailing along, relaxing in the beauty of our surroundings, a power boat motored by us and I made the comment that he needs to “Go Green and Go Sailing” BINGO! That WAS the beginning of Go Green Go. Soon I started to think of all the different activities that people could engage in that were friendly to the environment. With the mounting need to be more aware of how we treat our environment, why not take the everyday activities that we all engage in and raise the consciousness of the people around us. People could walk more, bike more, hike more the list goes on and on. At Go Green Go our goal is to create a T-shirt that is fashionable, but more importantly makes a statement about how we each can take small steps to save the planet. We want these shirts to be a powerful tool for the people who wear them. Our “regulars” will be able to enjoy their favorite Green activity and at the same time will be promoting the preservation of the earth and its environment. We will take our past mistakes and put them to good use. Start slowly, build slowly, and take advantage of every learning opportunity that comes our way. I’m so excited that I have this opportunity to share my story with the Idea Café Regulars. I look forward to watching the business evolve even further with the help of Idea Café and its resources. Now you know the “HOW” of Go Green Go – next time I will share the “WHY” of Go Green Go……… it’s not what you think!!! !